At Victoria Coal & Heating Ltd, we specialize in high-quality oil, gas and electric heating equipment designed and installed to last you for a very long time, and provide you with a healthy, comfortable home while saving you money on energy. 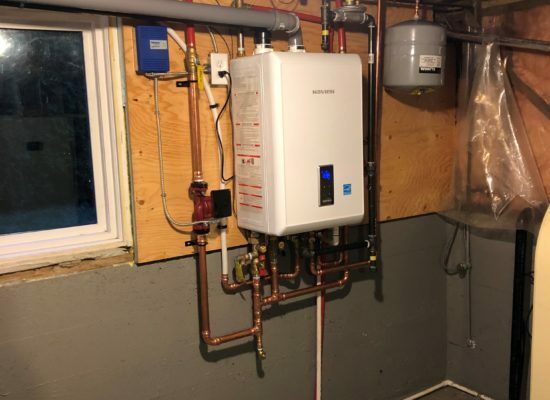 Gas-fired furnaces, boilers and water heaters have come a long way in the last few years and the products we install are the best in the business. Top notch reliability together with great warranties ensures years of trouble free service. We also can install gas-fired ranges, BBQ boxes and other gas equipment for you! Oil Furnaces Can Last up to 30 Years or More! Oil heat is still one of the best, most efficient ways to heat your home. Most oil furnaces and boilers last 30 years or more! With the most modern oil-fired equipment running at over 85% AFUE (85% efficiency), they can save you money fast. Oil-fired hot water heaters are hard to beat. They are economical to operate and provide almost unlimited hot water! Electric forced air furnaces and boilers are another nice option for heating your home. They usually are much smaller than other types of heating units and do the job just fine. You also get much more than just a nice new furnace or boiler with Victoria Coal & Heating Ltd. You’ll receive a 1-year service warranty with the installation. This means that we will attend to any problems you may have with your new unit, day or night, for 1 year after the date of installation – free of charge.At Victoria Coal & Heating Ltd, we offer oil to natural gas conversions year around. If you’re interested in having your home’s heating system converted, give us a call! At Victoria Coal & Heating Ltd, we offer oil to natural gas conversions year around. If you’re interested in having your home’s heating system converted, give us a call! !